It's official. Johann Zarco will race for KTM in 2019 and 2020, having signed on as a factory rider with the Austrian outfit. 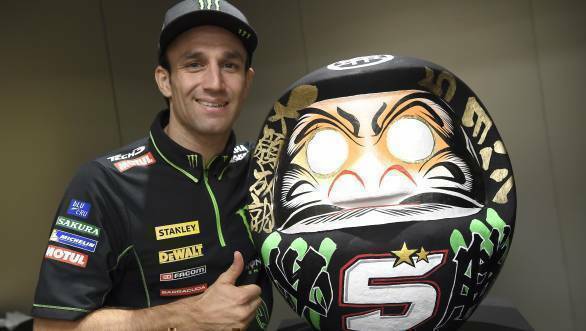 The Frenchman, who only made his MotoGP debut with the Monster Yamaha Tech3 team last year, has already scored four podiums, has been on pole thrice, and has led races too. Zarco will partner Pol Espargaro at KTM, replacing Bradley Smith. Rumours linking Zarco to KTM have been floating around since November 2017. However, there was some speculation as to whether Zarco might find a spot with the Suzuki factory team, which ultimately didn't happen. Zarco being signed by the factory KTM team is a sign not only of his significance as a rider, but also his future as a potential MotoGP winner and world champion. Before he embarked on his grand prix racing career, Zarco won the Red Bull Rookies Cup championship, back in 2007. He has since won the Moto2 title twice, and is currently tied for fourth in the MotoGP championship standings with Cal Crutchlow.